This is among the most hidden in plain sight of Litchfield markers. Today, Litchfield residents who wish to spread news of an event hang flyers at Stop and Shop, the Oliver Wolcott Library, or the Post Office, or information posted on Litchfield.bz. In an earlier day, Litchfield’s residents hung notices on the Sign-Post Elm. 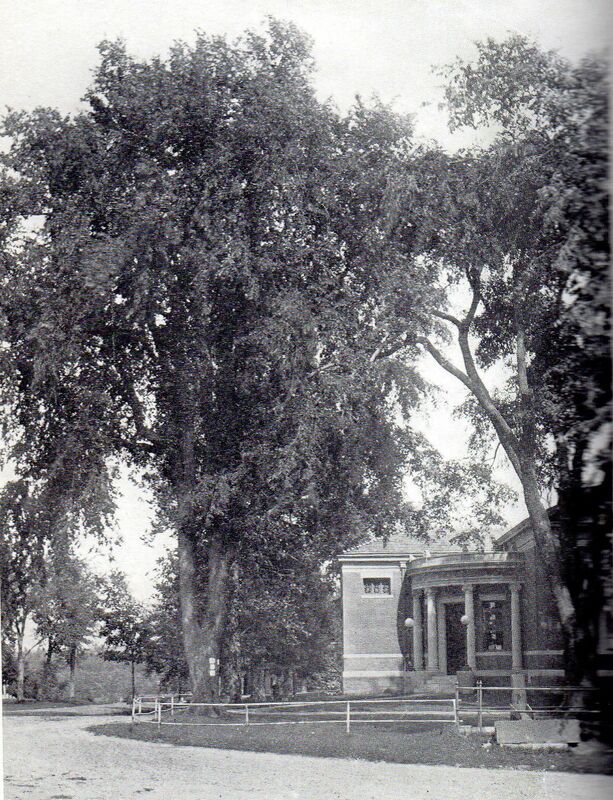 Litchfield had many distinguished elm trees. 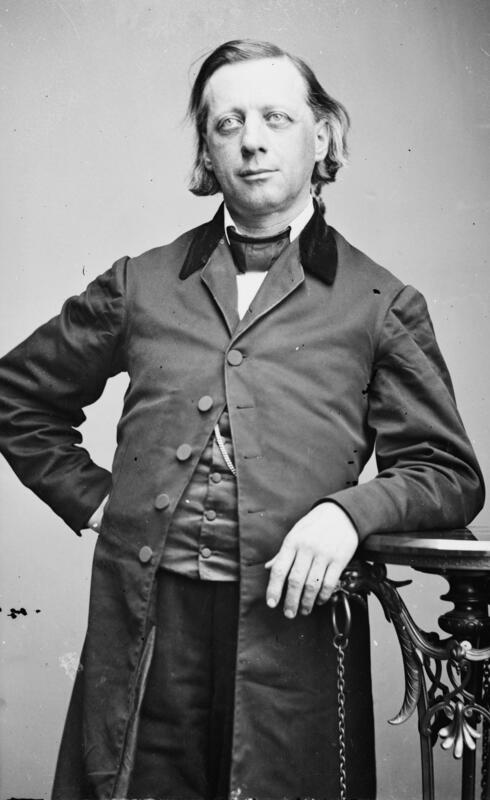 Brothers Oliver Wolcott Jr. and Frederick Wolcott planted many elms along North and South Streets. John C. Calhoun planted elms at the corner of West Street and Spencer Street and also on Prospect Street when he was a student at the Litchfield Law School. The ominously-named Whipping Post Elm stood in front of the jail at the corner of West and North Streets. ; at 150 inches he reportedly had the greatest diameter of any elm in town. 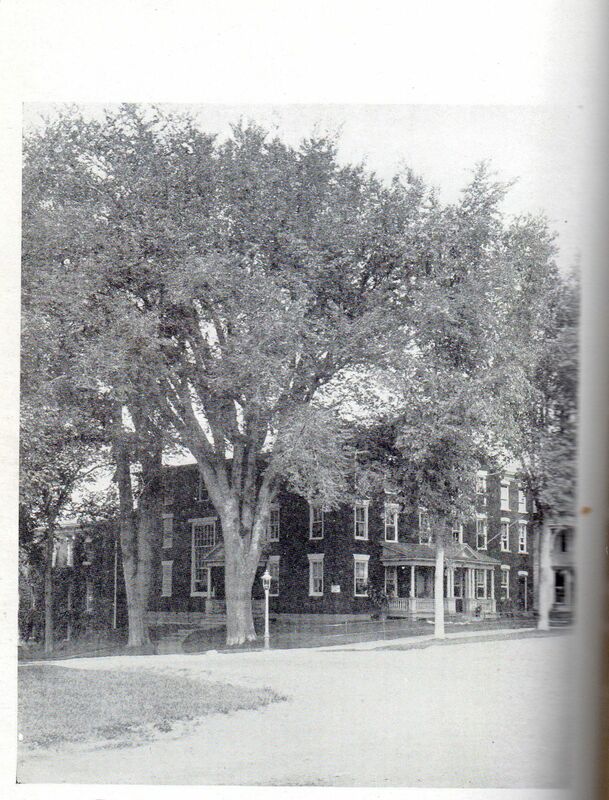 Second was the Beecher Elm at 146 ½ inches, at the site of the family home on the corner of North and Prospect Streets. The Sign-Post Elm was not as big, but was, perhaps, of greater importance. 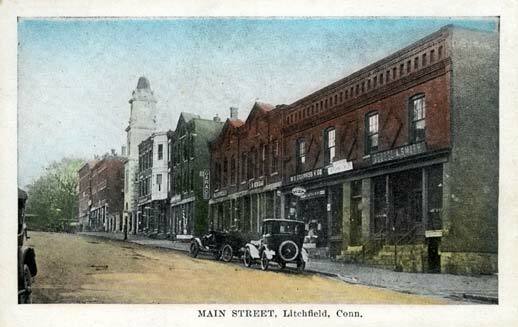 For many years it stood at the corner of South and East Streets, in front of what is now the Litchfield Historical Society. 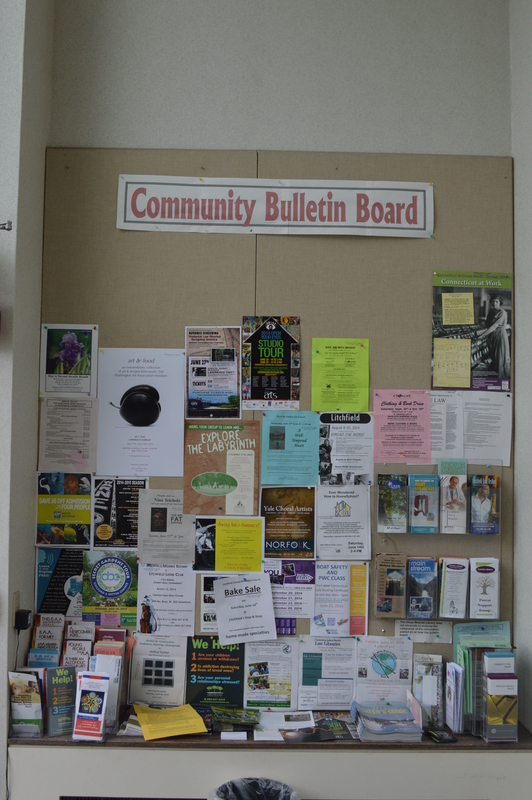 It displayed the legal notices of the town, informed residents of town meetings, and hosted, under its branches, auctions and sheriff sales. 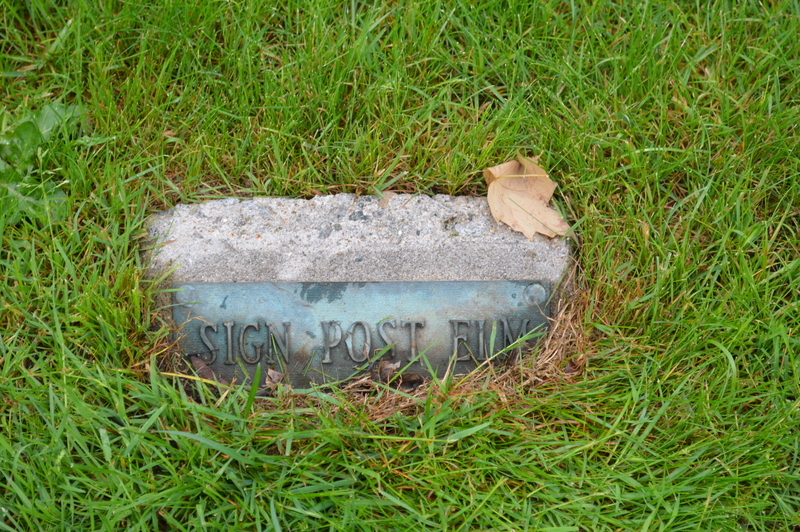 The marker for the sign-post elm is visible as the small stone-like object to the left of the telephone pole in this photograph. 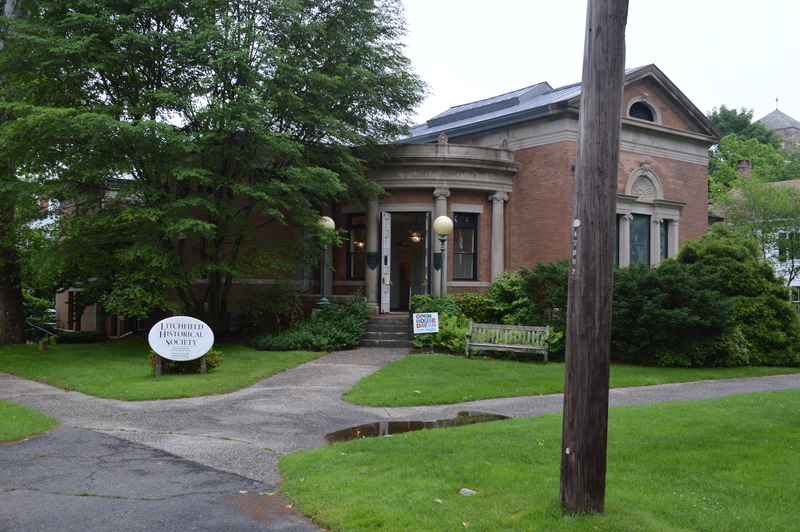 This entry was posted in History, Nature and tagged Beecher, elms, Litchfield, Litchfield Historical Society, Oliver Wolcott Library, trees by pvermily. Bookmark the permalink.